You are so generous to share your amazing resources with us! Merci mille fois! Merci mille fois, Lisa–I love the Resource Guide! How interesting that you hike the Camino…I have thought about doing that myself. 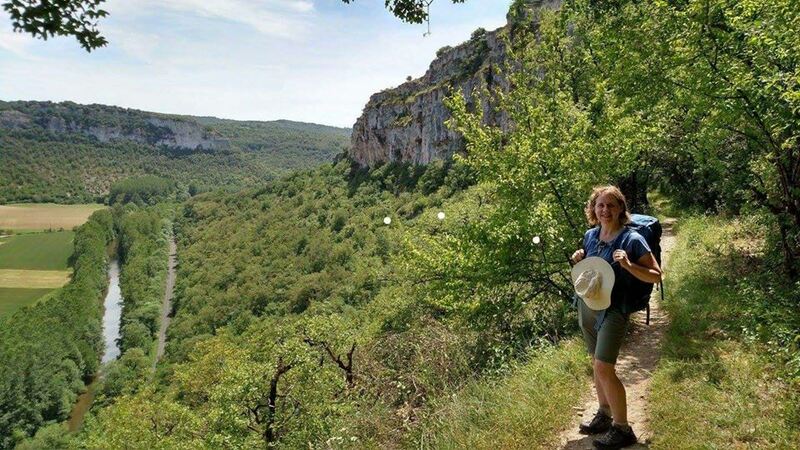 do you hike in France, Spain, or both? You said that this is a mini-unit of 2-3 weeks. How long is the other (non-mini) unit? will you do the longer one immediately following? I am so excited to begin my journey into a proficiency based classroom with your fabulous ideas and resources! I do have one question about the IPA. The objectives mention a video, but I don’t see either a video nor an interpretive listening assessment. Was that something you omitted when you shortened the unit? Would you be able to give me some insight on how you selected a Pre and Post Test for French Level One and Two and then again substantiate the standards for each one? You have been highly recommended by all the French teachers I have met taking courses. I have to get started reading all of your sites and information. I am in a crunch time frame, for the state tests to be sent to the administration. Although I have had mine ok’d in the past, I wanted to see how you did yours, if you do not mind. Thank you! Hi, I’m not sure I understand your question. Could you tell me which pre-/post- tests you’re referring to? Kayleen, was your question about the SLO part of the Ohio teacher evaluation? That requires a pre-test and a post-test. Hi. One more question regarding feedback. On the practice presentational writing topics of sports and music (done prior to IPA prep day) do you give formal feedback using the same form that you do on prep day? This is a great question. While I would love to say that I do, I’m afraid there just aren’t enough hours in the day! If I remember correctly, I ended up not even assigning one of those writings and I think I provided only very cursory feedback on the other. It is in the Note after the Day 9 summary. There is a link to a several page document. Merci, Lenore! I did print that out (I didn’t notice it until after I submitted my comment). It seems to be goals, vocab, and grammar; I have no doubt it will be very valuable, in fact I used it today in class. In other units there have been pages with comprehension questions about various authentic resources, often with a copy of the link to wherever those resources are found online (or a link to a scanned copy of an authentic resource that is not found online). It’s this latter type of thing that I’m wondering about–whether there is a packet or whether I’ll need to create one. …and if I’ll need to create one, from the links on the daily agenda items, I’m wondering whether it’s better to collect them all together and make a single packet, or to print them out one or two at a time as we get to them. Any thoughts, Lisa or other readers? Yes, I’ve made a change from creating the larger packets. I think there are advantages of having the packets–everything is all together so there are fewer papers to keep track of, it’s easier for absent students to see what they’ve missed, etc. On the other hand, I’ve received feedback from colleagues that some students have shared that they felt overwhelmed when presented with large packets. (I also enjoy having the ability to easily make changes throughout the unit when I copy only a few activities at a time.) I certainly invite all of you to copy the materials as you see fit! Thank you so much for your generosity in responding to others’ comments/questions!!!! Thank you so much for this awesome feedback! Is there a speaking component to the IPA? Did I miss it? There is a reference to one in the notes about Day 9, but I don’t see one in the IPA itself. Of course, an obvious choice would be “Have a discussion with your partner about how you spend your time when you are bored”, but I wondered if there was one that I had missed. I’m not sure why it’s not on the IPA, but the interpersonal is described on the previous slide. I like the fill-in-the-blank activity for the song “Je joue de la musique”. Thanks for including the link to the youtube video. That video includes the lyrics printed on the screen–do you just play the audio for the students to fill in the blanks? or do you let them see the lyrics while listening? Oh, yeah, that was the clip someone shared with me, which introduced me to the song, but. I think I ended up using a different clip instead. They were playing for Fete de la musique. It’s on YouTube. Thank you for posting all of your amazing units. It seems the link for the agenda in Day 1 is no longer working. Any chance you could post it again? I sure will but I’m out of town without my computer. You can look for it early next week! Well, this one is a mystery. I have no idea why some of my agendas have disappeared. While I had alternate copies of some of them, I cannot find this one anywhere. I’ll work on recreating it, as I have all of the documents, but it may be a few days before I get to it–sorry! Bonjour, Madame! I just wanted to let you know the agenda for this Leisure Activities unit is gone. The link says the file has been deleted. The other thinks in this blog post work fine. Any chance you could share the agenda again so I can make copies of the files for my Google Drive? Hi, Toni. I added a document with links to the resources to the original post. I hope that all is well in retirement and that you get this e-mail. I am looking for the article that goes with the reading assessment on the Loisirs IPA. Bonsoir! The article was hyperlinked to the IPA–here’s the link: https://www.1jour1actu.com/monde/que-font-ils-cet-ete-katherine-10-ans-etats-unis-33696/ Please let me know if you have any questions! Merci mille fois pour cette réponse super-rapide. Is this an infographic that I referenced in this post? Another post? I generally post the reading sheets that I create–did I forget a link?